In the UK, we spend a startling £1.77 billion a year on our duty-free shopping. Broken down, this splits into the likes of £759m on gadgets, £300m on sunglasses plus other items, according to ABTA. 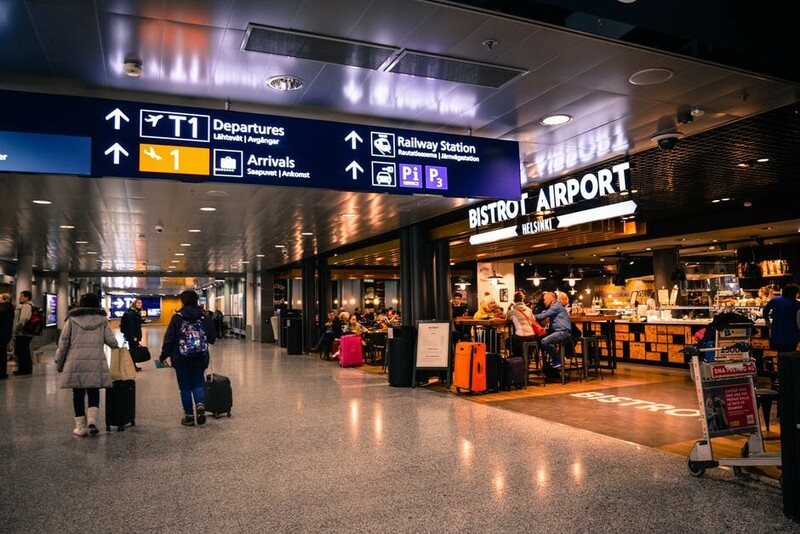 With £532pp spent on holiday preparation before even reaching the departures lounge, it’s no wonder we’re questioning bargain prices when hitting duty-free. So we’re asking: is duty-free really as cheap as we’ve always perceived, or are we better off saving elsewhere? Duty-free shops are generally found at airports. The airport location assures the government that duty-free items will be transported out of the country immediately after purchase. Without the cost of local import tax or VAT added, you can usually look to save between 5% to 25% off the original price on a number of products. For the UK, duty-free shops are largely dominated by World Duty Free stores. With an average person spending £52 once they surpass the security rush, and a huge £82pp in the 23-34 year old bracket, it’s not difficult to see how these figures rack up. At London Heathrow, there were 75.7 million passengers travelling through in 2016. Based on the average, £4bn was spent under the roof of one airport alone. You’ve already secured the best parking rates at Parking At Airports, got to the airport, checked in and passed security? So now what do you want to buy? Unsurprisingly top-shelf spirits and designer brands are up there with what people are expecting to get a competitive price for when they hit duty-free. Alongside that, buying a convenient snack and a magazine to get you through the flight. But where are the bargains and when is the best point during your holiday to make the most of them? When it comes to books, there are plenty of places online where you can have your pick from a wide selection of titles. Places like Amazon and The Book Depository offer thousands at a fraction of the RRP instore, let alone airport. Prefer to read a magazine? Buying at the airport might be more suited. However, if customers are committed to one specific magazine, buying it from the supermarket or local newsagent may prove cheaper, avoiding premium rates. Food is a different story with potential limits on what you can take through. It may be best to decide whether you want to eat a full meal or just need a few snacks to keep you going. If you are just looking for snacks, be savvy about where you take your custom and find places that aren’t charging the earth. Why not look to stores like WH Smith or Boots that still offer meal deals or multi-buy options. Try avoiding places like Pret a Manager and Upper Crust, which, like the high street, add a premium on everyday items. Remember that £52 spend? Is it worth getting refreshments included in an airport lounge package and enjoying a bit of luxury instead? Not only can you eat and drink all inclusively, you can also have access to seating, newspapers and wifi. Averaging at £20 per head on average, it sells itself. In terms of spirits and other alcohol, it’s always worth shopping around and comparing. Look in your local supemarket and other chains to get an idea of price. Remember you can look up prices on the World Duty Free website and see the current rates you should be expecting at the airport. 1 litre of Tanqueray Dry Gin is £14 at World Duty Free. This is only for passengers flying to non-EU destinations, though. Available for just £2 more at Waitrose at £16, it could be worth saving that extra weight in your suitcase upon your return. It’s also worth taking into consideration your holiday package. Is it all inclusive? Do you really need that bottle of gin? Alcohol might be worth the extra weight in your suitcase if you plan to get it for cheap whilst you’re abroad. Much of the cost of alcohol in the UK comes from heavy import taxation. However, if French white wine takes your fancy and you’re heading to France you can wine and dine to your hearts content for less locally, rather than buying a pricier bottle in duty-free. You might even fancy bringing a couple of bottles back, but please ensure you check the allowance for the amount of alcohol you can have in your suitcase. All this also goes for other wines, beers and spirits in their origin countries. Buy your souvenirs from the place you’re visiting. Souvenirs are generally more expensive at airports than they are in the heart of your destination. What’s more, there’s going to be 10x more sentimental value tied to it with the memories of the places a holidayer has been to than a stuffy airport. Okay, you’ve avoided succumbing to deals before departure and whilst away. But you really do fancy a pair of designer sunglasses and your perfume has just run out? Duty-free might just be for you. But wait! There are still better deals to be had with a spot of online shopping. When it comes to fragrances and high-end beauty, as well as fashion. There are so many sites offering incredible reductions, such as Fragrance Direct. A 50ml bottle of Nina Ricci’s Luna EDT is £26.95, but £36.85 from World Duty Free. Still, customers can buy Urban Decay’s Naked 2 eyeshadow palette for £32.90, compared to Feel Unique’s 10% off £35.55 price. Take the time to browse on your phone and compare the going rates online. Is it worth waiting a few more days and ordering when you get home? Customers shouldn’t be fooled by seeing prices in different currencies. Try and calculate it back into pounds. Bare in mind our advice about supermarkets – is it worth that £2 saving? Are you just buying for the sake of a tempting duty-free deal, or do you really need that giant bar of Toblerone? It goes without saying that if you do your research, you could still be on for a real steal when perusing the shelves of duty-free. However, it does seem as though price differences are becoming more and more slight. All the incredible price drops are not as they seem. Put it this way, if you shop with eyes wide open, you might just find a better deal and have that item you’ve been wanting for ages sooner than when your departure comes around. For more top tips and money saving ideas for when you travel, keep reading the Parking At Airport blog.